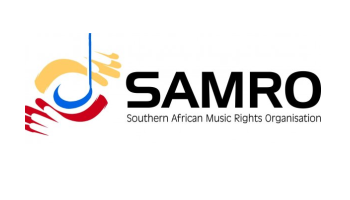 The SAMRO Foundation is awarding two SAMRO/RIESA Special Undergraduate Bursaries for study in music performance for the first time. Eighteen candidates from nine South African universities were entered for the bursaries. They included students in jazz piano, trombone, trumpet and voice, African music, marimbas, drums, voice and dance, traditional bagpipes, and Western art music piano, voice and clarinet. Mfundiseni Ndwalane, African Music and Dance: drummer, singer and dancer, 3rd year at the University of KwaZulu-Natal. The bursaries have the value of R18 000 each and are available annually to undergraduate students who specialise in music performance in the Traditional, Jazz or Western Art Music genres. Candidates for the bursaries are nominated by the Heads and relevant members of staff of music departments of South African institutions of higher education from among the ranks of their students. The candidates are required to show merit in the field of performance in one or more of these genres. The winners are chosen by the Artistic Committee of the SAMRO Foundation which takes into consideration such criteria as standard of performance, year of study and perceived financial need. In the event that there are no suitable candidates, the bursaries are carried over to the following year. The Roodepoort International Eisteddfod of South Africa (RIESA) was a now-deregistered Section 21 not-for-profit organisation which, from 1981 to 1997, ran nine biennial international music competitions for amateur performers in Roodepoort. In 2010, RIESA made a bequest of R700 000 to the SAMRO Endowment for the National Arts (SENA) – now the SAMRO Foundation – to establish and administer undergraduate bursaries for studies in music performance in South Africa. As with the many other bequests which the Foundation administers – including, among others, those from Ralph Trewhela, Eve Gettleson, Esme Webb, Maisie Flink, NOASA (the National Opera Association of South Africa) and Bonhams Auctioneers – the funds are invested and the interest is distributed as bursaries for music study in various fields.